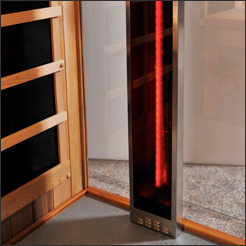 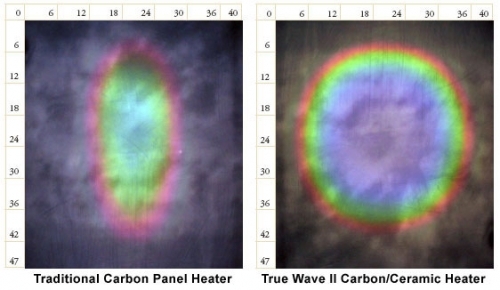 Heater placement in your Clearlight Sanctuary Y Full Spectrum Four Person Infrared Yoga Sauna is very important. 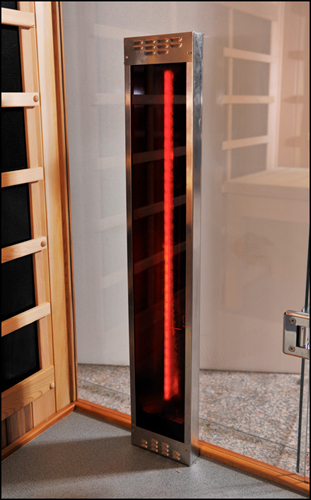 The key to infrared therapy is heating your body directly so you want heat on the front of your body and on the back of your body. 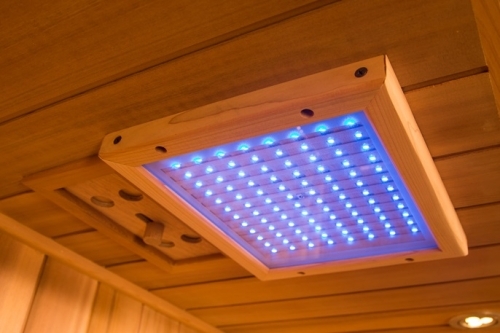 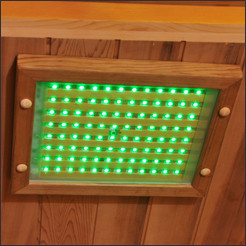 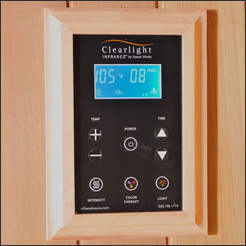 In the Clearlight Sanctuary Y Full Spectrum Four Person Infrared Yoga Sauna you are surrounded by infrared heat. 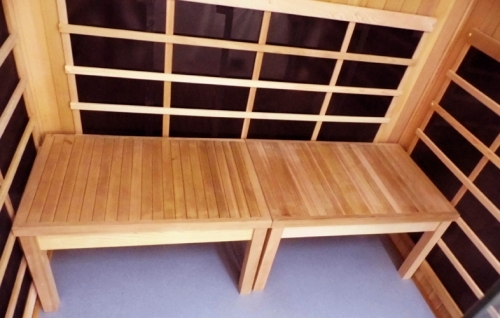 There are heaters on the front wall, back wall, side walls, underneath the bench and at your calves. 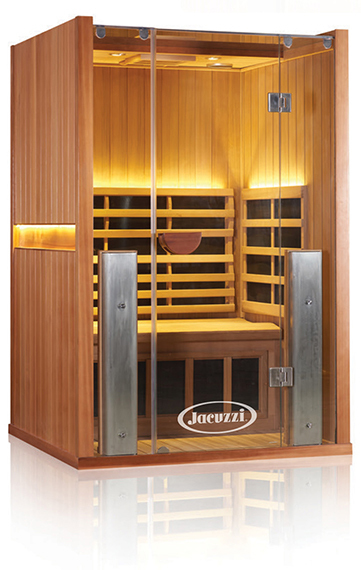 The mistake most companies make using carbon heater saunas is they don’t have heaters on the front walls. 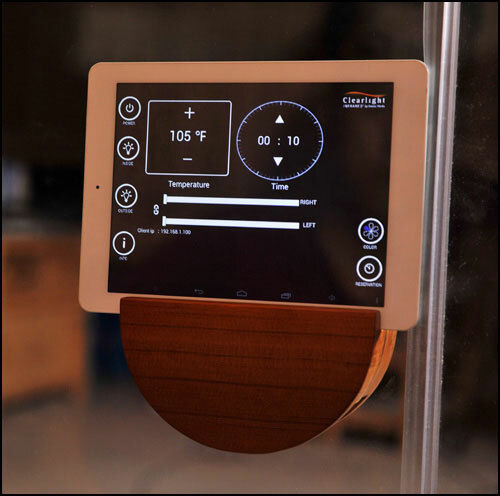 Without heating the front of your body you will not raise your core body temperature as effectively and you will not sweat and detox as effectively. 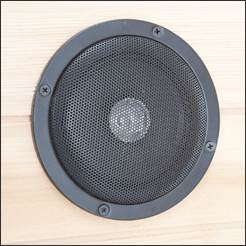 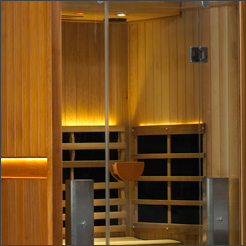 Call 1-800-875-9145 to speak with one of our fitness advisors with any questions you may have about any of our saunas. 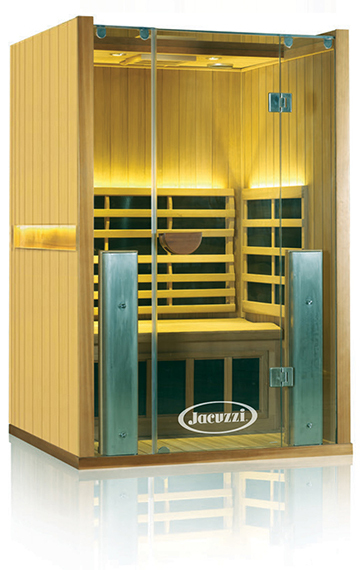 Go to FitnessZone.com to order the Clearlight Sanctuary 2 Full Spectrum 2 Person Infrared Sauna and start enjoying the health benefits a sauna can give. 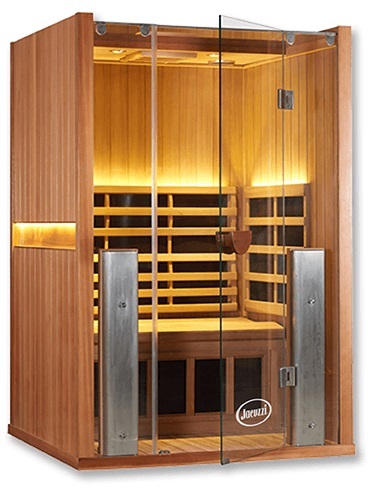 Order your Clearlight Sanctuary 2 Full Spectrum 2 Person Infrared Sauna from FitnessZone.com today!